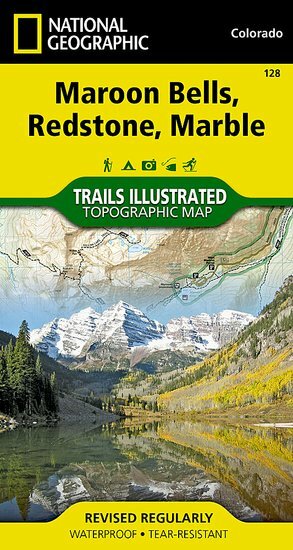 Trails Illustrated Maroon Bells/Redstone/Marble Trail Map [ti128] - $10.95 : Trail Explorers Outpost, Keeping the Adventure Alive! 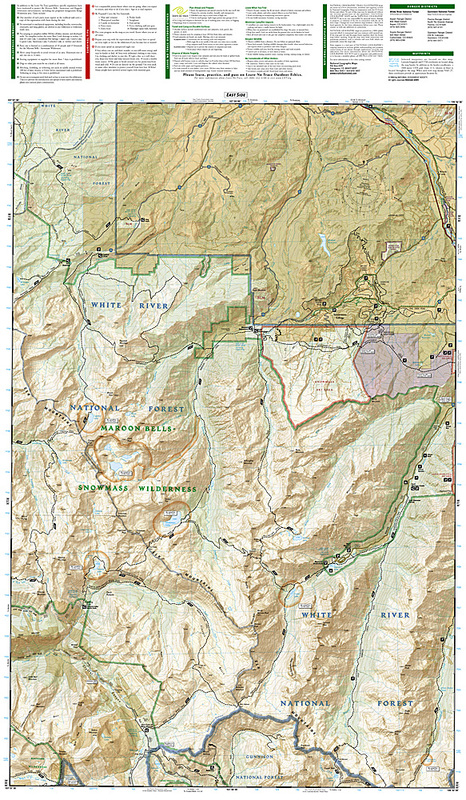 The Maroon Bells/Redstone/Marble Trails Illustrated map is the most comprehensive and complete recreational map for this popular area in the heart of the mountains of Colorado. Coverage includes White River and Gunnison national forests; Raggeds and Maroon Bells-Snowmass wilderness areas; the cities of Redstone, Marble, Placita and Woody Creeks; Crystal and Roaring Fork rivers; and Snowmass Lake. 14ers: Snowmass Mountain, Pyramid, North Maroon, Maroon and Capitol peaks, as well as Schofield, McClure, Anthracite, Buckskin East and West Maroon passes. 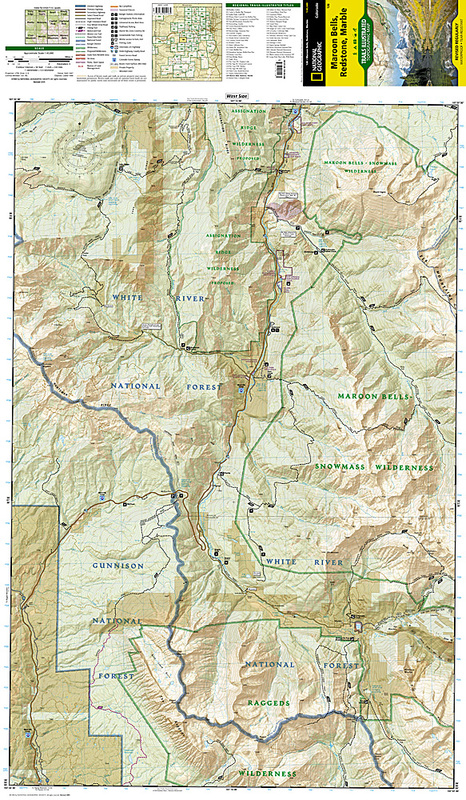 Ski Areas: Snowmass. Delivered very timely and in addition to a small log book for my trip which I love! The map has exactly the detail I was looking for and I really appreciate the zoom feature on the website that shows me exactly what I'm getting before I buy it.